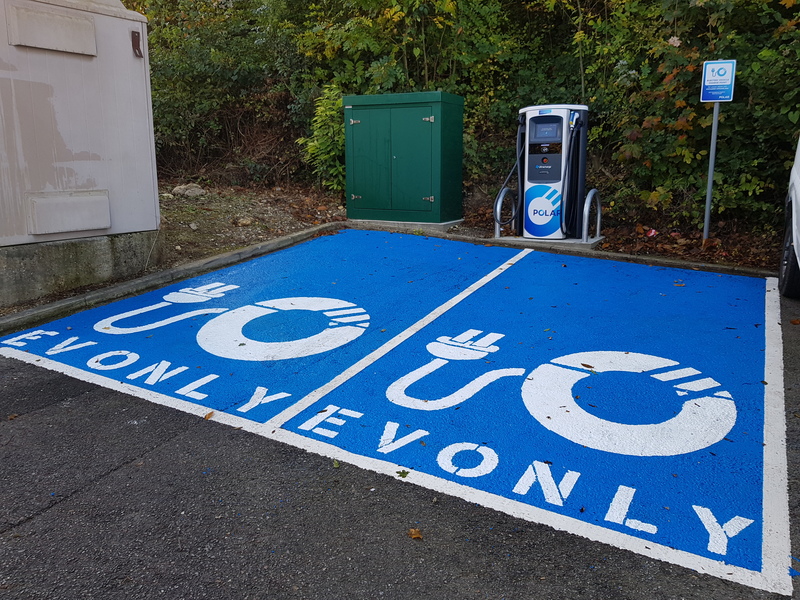 Buckmore Park Karting Circuit have installed an electric car rapid charger, one of the few to be located in Mid-Kent and it is conveniently located just minutes from both the M2 & M20 motorways. Aptly located at Buckmore Park Karting Circuit, a location known for its excitement and speed, the Chargemaster Ultracharge rapid charger will charge most vehicles to 80% in only 30 minutes. Electric vehicle sales are surging, with one in every 50 new cars purchased in the UK being electric. This transition from traditional combustion to battery power has also been echoed in the motorsport echelon with the rise of Formula E and the introduction of hybrid drivetrains in Formula 1. To cope with this increasing popularity, the industry is seeing one of the biggest shifts to the traditional means of ‘refuelling’ and consequently, a hyper-growth in the technology that surrounds it. Next time you need to boost your battery and you’re close to Buckmore Park, don’t hesitate to visit. You can bask in the stunning views of the North Kent Downs or enjoy refreshments from the onsite Cafe or better yet, take to the track and experience the iconic circuit for yourself.